The costs of receiving help up from the floor after a fall are beginning to increase across the country. Manually lifting a fallen person can lead to musculoskeletal injury. To protect their staff from harm, many health care providers and states have enacted no-lift policies. These no-lift policies limit nurses, home caregivers, orderlies and other’s options after a fall. When properly trained staff or assistive equipment is limited calling 911 is many times the only solution. Those living independently also face a similar dilemma when their loved one falls at home. The increasing numbers of hazardous lift assist calls ar challenging local governments to reevaluate their costs of service and to develop innovative ways to help serve this growing need. 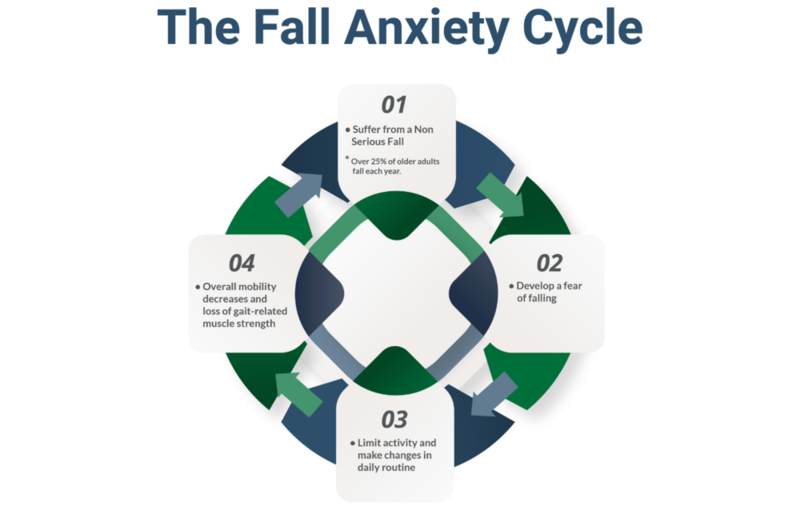 A proactive fall response system will help you avoid suffering future falls and allow emergency personnel to focus on emergency calls. According to the CDC, more than 25% of older adults fall every year. Falls are responsible for $31 billion in annual Medicare costs. These numbers will only continue to increase with the aging population. Those responding to these falls put themselves at risk for musculoskeletal injury, especially when their muscles and joints are stressed repetitively. The NIOSH found that those in the medical services field faced increasingly high rates of overexertion injuries. The BLS determined that musculoskeletal injuries cause 34% of all lost workdays and are responsible for 1/3 of all workers compensations costs. These costs account to as much as $20 billion a year in direct costs, and the indirect costs (overtime, new hires, low morale) may be as high as $100 billion a year. Spurred by the NIOSH findings, 11 states enacted safe patient handling laws or regulations to reduce these high rates of injury. Healthcare providers also developed their training and procedures to protect their stretched staffs. Providers have faced challenges in the tight labor market to fill these low paid, high-stress positions. They are often competing with other higher-paying sectors like retail and the service industry for new hires. In 2018 it was found that on the worst-staffed days at an average assisted living facility, on-duty personnel cared for nearly twice as many residents as they did when the staffing roster was full. Managing resident’s medications, meals, and other essential activities of daily living fill their regular schedule. When a patient suffers a fall, a busy nurse's aid is left with only one option to call 911 for further assistance. In 2017 65.7% of home care aids left their position within one year. This high turnover rate and low pay have caused a shortage of experienced and affordable home care aids. Leading many living independently to rely on an unpaid, loved one for daily assistance. In this instance, a family caregiver helping a fallen loved one off of the floor is not just dangerous but usually impossible. In response to this growing role, local governments are increasing their costs of service and developing new initiatives to protect first responders and communities. Many cities have started to bill both providers and individuals for repeat visits. The Omaha Fire Department is set to charge assisted living facilities $400 per visit to lift an uninjured resident. They estimate that each lift assist visit costs at least $1,000 and also increases their lead times for other higher priority calls. Tacoma, Washington’s fire department is planning an $850 charge per non-emergency visit next year. This trend is in direct response to facilities facing a predicament. Is the resident too frail to be lifted? Have they been injured in the fall? Can we even attempt a lift? Without medical professionals on their insufficient staffs to answer these questions, calling 911 is their best option. When repeatedly responding to residential homes, many towns have created a tiered pricing system similar to Bangor Maine’s fire department. For 4-8 non-emergency visits, there is a $25 per vehicle charge. Nine or more visits, the costs increase to $125 per vehicle. These fees to healthcare providers and homeowners vary by community. Regardless of their amount, they are not a source of revenue. The department’s operating expenses, fuel, salaries, and maintenance are the same amount per call. It is all of our tax dollars and the first responder’s time at stake responding to these increasing non-emergency calls. Minnesota’s Fire Departments saw a 300% increase in lift assist calls between 2008 and 2018. This threefold increase led many communities to reevaluate their strategies. A department in St. Louis Park developed a “community EMTs” programs to make visits to the homes of those after a fall. These community EMTs investigate what caused the fall and help make recommendations around the house to prevent future falls. Maplewood, Minnesota used the same strategy when it found that one-third of people who call for help for a call will again. With one Maplewood resident calling 75 times over the ten years. This number is somewhat low compared to other repeat callers across the county. One couple living independently in Virginia Beach, Virginia called their local fire department 1,100 times in 3 years. Costing the department between $250,000-$500,000. Another man in Tampa Bay, Florida relies on his local fire department daily to help assist him to the bathroom. Granted both of those cases are extreme, they are examples of the many people who use emergency services as a substitute or for the proper level of home care. Working with social services and other local organizations proactively to find the right level of affordable care will release emergency services from this lift assist risk and responsibility. Approximately 10,000 Americans are turning 65 every day. This increasing amount and proportion of the American population will be at an increased risk for falls. Especially when 87% of those over the age of 65 wish to age in place. This growing group will keep first responders busy at assisted living facilities and in the home. The costs of nonemergency visits will only increase in the future. Creating a proactive fall prevention plan is the best solution to reduce these fees and help our first responders. Investing in assistive devices and floor lift systems help those who have fallen stay confident and independent — associating a minor fall with the spectacle and embarrassment of a whole team of firemen coming to help them back onto their feet. Many will begin to worry about the likelihood of suffering another fall and having to bother their neighbors or local fire department again. So they start to limit daily activities and change their daily routines, increasing their likelihood of another fall. Portable floor lift systems offer a fast and easy method to get back up and turn a minor fall into a small event. Systems like the IndeeLift HFL-300 add an extra step before resorting to calling 911. The Indeelift Human Floor Lift can even be operated independently. The floor lift systems eliminate the chance of causing musculoskeletal injury to a caregiver, first responder, and the fallen person. Invest in your home or assisted living facility's independence from calling 911 with a proactive fall prevention system. Contact AdaptMy today to find out how to get started with your new proactive fall prevention plan.